Don't panic if you have never put together a curriculum vitae (CV). The basics are very similar to a professional resume with only a few additional items included, typically for academic purposes. Follow these guidelines and you will have a high-class document that will convey your professional and academic strengths well. In the United States, one difference between a professional resume and a CV in the length. Generally, a professional resume is no more than a 2-page document while a CV can be numerous pages, depending on the candidate's academic history or achievements. While a professional resume typically includes a brief mention of education and only selected awards that apply to the individual's career goals, a CV should include a much more detailed list and explanation of education, publications, awards, research, and other academic highlights such as teaching. Heading: Make sure include your name and contact information on every page, in case something gets separated during review. Objective: Following , the curriculum vitae should start with basic profile similar to a resume objective. Education: Not only should you list your education background, but you should also include any doctorate or graduate level dissertation and/or final thesis titles. Additionally, you may want to list relevant courses, research, or experiments that were conducted during your studies. Academic Highlights and Awards: The education section should be followed by any academic highlights and/or awards that you may have. Teaching/Academic Experience: Often, candidates will separate out any applicable teaching or academic experience such as teaching, research, assisting, or guest lecturing. Publications: If your work has been published or you contributed to any publications, these should be listed separately, typically following either the APA or MLA referencing formats. Other Experience: In a professional resume, this is the bulk of the content. 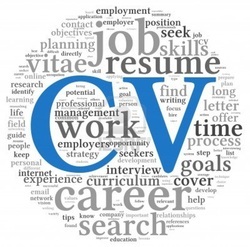 However, for a CV how extensive you should be with your professional background will depend on how closely related your experience has been to your current career goal. If it is not necessarily relevant, then keep this section brief.